Why TDt and why do we need another article about it? Because TDt is all about testing, or almost all. And because a short overview of all techniques will be useful as a reference for picking the appropriate method for your tasks. Of course, the techniques are not a silver bullet, they do not magically turn specification or code into test cases. You still need to analyze each functionality aspect very carefully, and choose and apply the techniques wisely. But they definitely help. Some of them simply reduce the number of cases from hundreds to dozens, or from hundreds of thousands to hundreds. Some can help to organize and visualize key aspects of the functionality. The clearer picture you have on your notes/monitor, the clearer picture you get in your mind and the less possibility to overlook something valuable. - help to analyze the System from the perspective of the business logic, hierarchical relations, scenarios, etc. As you can see, the table shows when the techniques can be used, and also generalizes which techniques may rely on others. Now, let's have a closer look at each of them. For example, you have a range of valid values from 1 to 10, so you just need to check one value from range - "5" and one out of the range - "0". It is a very simple and understandable explanation, but it may give a narrow view on this technique. What if we do not have a range of numbers? An Equivalence partition is a subset of elements from a specific set, which are treated by the System (under test) in the same way. So you don't need to perform tests for each element of the subset and just one check is enough to cover the whole subset. Therefore, the technique can be described as dividing of the whole set of input/output data into such partitions. And if you have, for example, a set of data with about 100 elements which can be divided into 5 partitions, you can decrease the number of cases to 5. The trick is to see and identify partitions. They can be found in sets without numbers (like tree leaves divided by color - yellow, green etc. ), or even a single element can be an equivalence class (for example, an elevator is usually more full on the ground floor than other floors as people get out the further up the lift goes -- so the first floor is a separate equivalence class). A very effective, time saving technique. A second well-known technique which is often used in pair with the previous one. The idea for this technique is to check boundary values for equivalence partitions when the result changes from valid to invalid (for this partition). Test cases based on these values are sensitive to errors and have a high probability of finding mistakes when logical operators are used (> instead of >=, < instead of >, || instead of &&, and so on). where x is a boundary value, and step is a minimal decrement/increment (e.g. 1 for integers, 0.01$ for prices). This technique seems fairly easy, but sometimes you can overlook boundaries because they are not so obvious. Don't miss partitions (e.g. out of valid range), don't miss sequences and open boundaries, choose the right "step" and this simple technique will save you plenty of time. Or rather consider them as combinatorial strategies. Their main purpose is to produce combinations of input parameters basing on one of the algorithms below. As we can see from the title, this algorithm implies generation of every possible combination. This means exhaustive testing and makes sense only if the number of combinations is reasonable. For example, 3 variables with 3 values for each give us a 3x3 matrix of parameters with 27 possible combinations. Defects appear rather as a combination of two parameters than three or more. - The reason for "pairs". Each particular test case can check more than just one unique pair. - Add this one and we get a very small and tight subset of test cases. Thus we just need to identify all unique pairs from our parameters, and then build our test cases by trying to make unique combinations of pairs. Now we've got only 9 cases instead of 27. Of course, this is not very easy to do even if you have just a few parameters. So, for solving this task, there are plenty of tools that generate the required combinations automatically. The only thing that is left to you is to thoroughly examine and setup all the settings provided by your tool, and then do a couple of test runs with a small manageable set of data to make sure your tool is configured correctly and create proper combinations. This strategy means that each value of each particular parameter must be used at least once in a test set. So the resulting number of cases will be equal to the number of values of the parameter with the biggest range. Each choice is a minimal coverage strategy. This simple technique consists in documenting business logic in a table as sets of conditions and actions. For example, if you have a set of variables which are hard to remember and manage, a Decision Table will help to organize them to simplify identification of the right cases. Although the decision table technique gives you less visibility than the techniques based on drawing diagrams, it works perfectly for simple cases. And for complex cases, the decision table is used as a final step of data conversion. All this makes it the "must know" method for designing test cases. Identification of test relevant aspects (aspects that affect functionality -- so called classifications) and their corresponding values (called classes, it can be exact values or equivalence classes). Combination of different classes from all classifications into test cases. Now let's add some details. A Classification Tree is a graphical technique which helps us to visualize test-relevant aspects (aspects that affect the behavior of the test object during the test) in the form of a hierarchical tree. How to grow this tree. It looks similar to mind maps with slight differences if it gives you a hint. We have a test object (whole app, a particular feature, an abstract idea, etc.) on the top as a root. We draw branches from the root as classifications (test relevant aspects which we identified). Then, using equivalence partitioning and boundary value analysis, we define our leaves as classes from the range of all possible values for a particular classification. And if some of the classes can be classified further, we draw sub-branch/classification with own leaves/classes. When our tree is complete, we make projections of the leaves on a horizontal line (a test case) using one of the combinatorial strategies (all combinations, each choice, etc. ), and create all the required combinations. In the example above, the "Each Choice" combinatorial strategy was used. The most obvious advantages for me here is a great visibility and clearness of the test object scope and test case ideas. If you have some complex, hierarchy-structured data and you can afford to spend time on creating and supporting the tree, I think this technique will be extremely handy. And, to effectively apply the method, you might consider using a special tool, like Classification Tree Editor. Another graphical/table technique which is convenient to use when your target functionality is a System with a finite number of states and transitions between them (flows, all kind of "masters" etc. ), and where transitions are defined by some set of rules. Cause-effect graphing is similar to a Decision Table and also uses the idea of combining conditions. And sometimes they are described as one method. But if there are a lot of logical dependencies between conditions, it may be easier to visualize them on a cause-effect graph. To explain this particular techique, we should review a lot of conventional notations that go beyond the scope of this post. Nevertheless, this is an interesting topic which I will get back to in my next publications. As a rule, a test case is represented by a very few actions and a single result. Scenario, on the other hand, is a sequence of actions (with intermediate results) that lead to accomplishing some specific goal. Scenarios can be a part of a developer’s documentation (scenario diagrams). Quite often they are documented in requirements as "Use Cases" — scenarios that usually describe user interactions with the System. But often these scenarios are not very detailed. Also, before using them for creating test cases, they need to be thoroughly described using a template. Templates can vary from project to project. But among such usual fields like name, goal, preconditions, actor(s) etc., there are always: the main successful scenario and so-called extensions (plus sometimes sub-variations). Extensions are the conditions that affect the main success scenario. And sub-variations are the conditions that do not impact the main flow, but still should be considered. 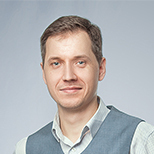 After the template is filled with data, we create specific test cases using equivalence partitioning and boundary values techniques. For minimal coverage, we need at least one test case for the main success scenario and at least one test case for each extension. Again, this technique fits the common formula "get conditions that vary our output, and check combinations". But the way to get those is to analyze the behavior of the System through scenarios. Also known as random-input testing, this is probably the most misjudged technique, the main idea of which is to choose random inputs from the possible values for particular functionality. So there isn’t any system in choosing input data. This technique is also called "monkey" testing, and if we are speaking about manual testing, I assume that it can be less effective than other black box techniques. But if we add automation, it becomes a powerful instrument. Just imagine that test cases (with distinct sets of inputs) are generated, executed and evaluated automatically in a continuous cycle, allowing you to run thousands and millions of cases within a reasonable time. Creating a "Random Tester" is a quite an interesting topic, but also quite complex and requires deeper study. Here, I describe it only conceptually. Using a pseudo-random generator with the seed is convenient as we can re-generate all suits of cases for a particular seed. 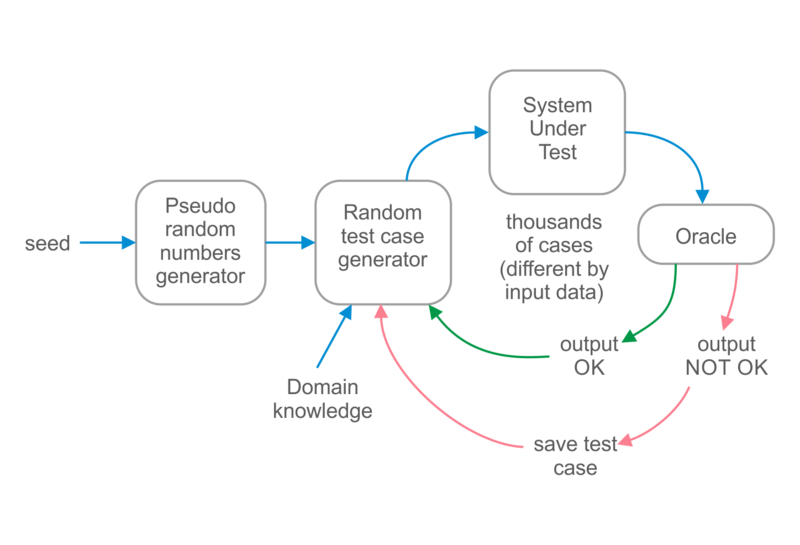 Cases are generated based on the domain knowledge. Then they are executed in our system under a test environment. After that, "Oracle" (a special instrument) verifies outputs and if we've got an output different from what we expected, we save the test case and continue the cycle. The most complex and challenging part here is to create Random Test Case generator and Oracle. From the resources I found, the next course gives a reasonable explanation of the topic. This technique helps with designing test cases for input formats. Of course, if our syntax rules sound like "there should be only digits or letters", we don't need this technique. But if we have some complex format (e.g. postcode, phone, specific email address) it may be handy. First of all, we should identify our format and describe it formally using the Backus-Naur Form (or Extended BNF). This is a crucial point, so I would suggest you get acquainted with BNF before reading further. I won't explain BNF here, but you can find pretty good explanation about what BNF is in Wikipedia. For the positive cases, we find possible variants of values allowed by the individual elements of the BNF definition, and then design cases to simply cover these variants. For the cases with an invalid syntax, we define and apply possible mutations (e.g. : missing element, unwanted extra element, invalid value for an element, and so on) to the individual elements of the BNF definition. Then we design our cases by applying mutations that can produce distinctive results (cases which result in valid combinations are excluded). where the 'coverage item' is whatever we have been able to count and see whether a test has exercised or used this item. 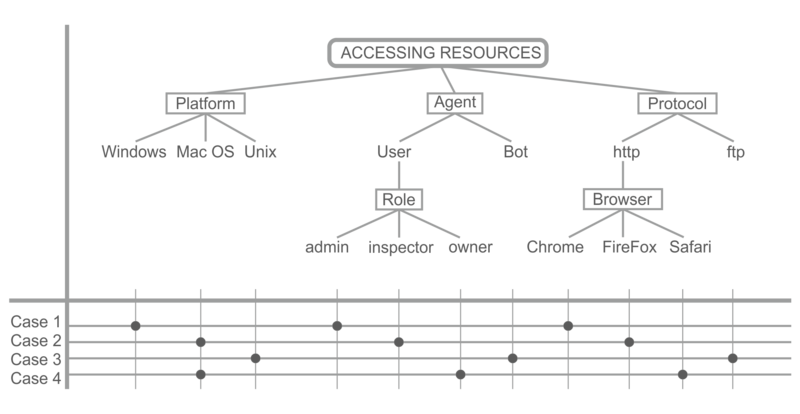 For specification-based techniques, it can be use cases, equivalence partitions, boundary values, states from a state-transition diagram, a percentage of business rules from a decision table, etc. For structure-based techniques, coverage items are represented by the structural elements of a code. In principle, coverage evaluation means that we should decide which structural elements we are going to use (e.g. statements or decisions). Then, find the total number of these elements in the code. Inject additional statements (for example logging) alongside each structural element in order to find out whether the element was exercised during the test case execution. And finally, measure the coverage by executing the tests and using the formula mentioned above. But, as a rule, you shouldn't think about all these steps because there are a lot of automated tools for measuring the coverage. Structure-Based Testing techniques usually imply that you should measure the coverage for existing test sets (including black-box sets), and then design additional white-box test cases that are based on structural code elements to achieve the most optimal coverage possible. Compound statements: blocks, loops, if-statements, switch-statements. If we execute a case where a = 5 and b = 4, we will only have the first statement exercised and respectively 50% statement coverage. In order to reach 100% coverage, we can change b to 3, and now our single test will cover all the statements, which gives us 100% coverage. Can we relax now and get some rest? Obviously not, as 100% statement coverage only means that all the statements are exercised with the tests. So here we miss a lot of options: a <= 0 and b == 3, a <= 0 and b != 3, and a > 0 and b != 3. This way, this coverage level cannot be considered as sufficient. A "decision" is a program point at which the control flow has two or more alternative routes. The control flow is a sequence of events (paths) in the execution through a component or system. So, to be exact, a "decision" is a control flow node (like if statement, loop statement, or case statement) which have two or more links to separate execution branches. The 100% decision coverage means that all possible decision outcomes were exercised at least once. For if statements, these are true or false. If we look back at our previous example, we will require more tests to get 100% decision coverage (at least two more a <= 0 and b != 3 and a > 0 and b == 3 to cover both decisions, and get true and false outcomes). This example shows that decision coverage is 'stronger' than statement coverage (because it requires more checks which can find more bugs). And also that the 100% decision coverage always guarantees 100% statement coverage. We will still have the 100% coverage for branch condition method, but we will never reach the expression 1. As you can see from this example, for the optimal results, the best strategy is to always aim for 100% Condition/Decision coverage. Branch Condition testing is a stronger strategy than Decision testing, but still the 100% branch condition coverage doesn't cover all the paths. We cover all the paths only if we execute all possible combinations of conditions. This approach is called Branch Condition Combination Testing. If we recall combinatorial techniques from Specification-Based group, then for a boolean parameter we get 2n combinations (where n is a number of conditions). So for our example, there will be 16 possible combinations/cases which cover all the possible paths of our control flow. Obviously this approach leads to exhaustive testing. Branch condition testing is too little, Branch Condition Combination is too much. So what is in the middle? if a = false, the decision outcome will always be false, so it will mask results for b. 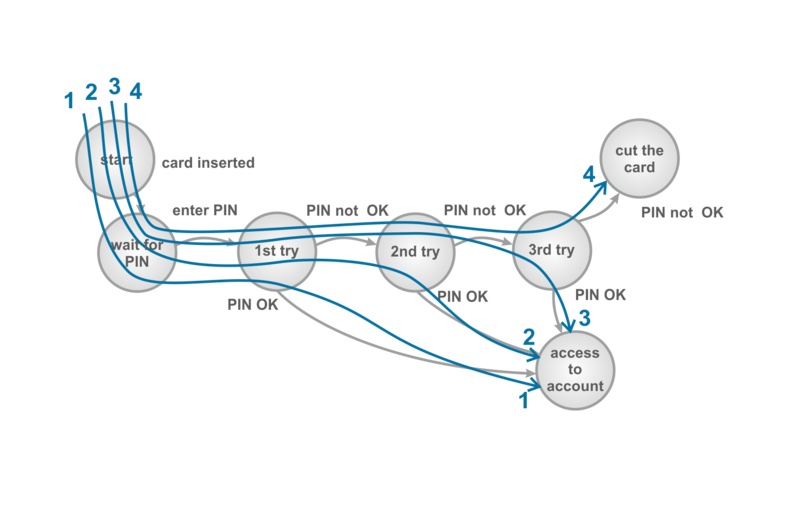 Data Flow Testing is another set of white box techniques/strategies that is related to analyzing the control flow, but in terms of the variable's life cycle. Variables are defined, used and killed when there is no further need of them. Anomalies in this process, such as using a variable without defining it or after it has been killed, could lead to an error. So ~d, du, kd, ud, uk, uu, k~, u~ are perfectly valid combinations, when ~u, ~k, dd, dk, kk, ku, d~ are anomalies, potential or explicit bugs. Currently, practically all of them are efficiently detected by compilers, or at least IDEs, and we rarely need to perform static analysis for detecting these anomalies. The least formal technique of all, and for many people it might be just a matter of course, like "be a QA and use your experience". So there are no particular steps or rules which can help you to design test cases. Just a reminder to always think about error possibilities and weaknesses even when the other more formal techniques are already applied.